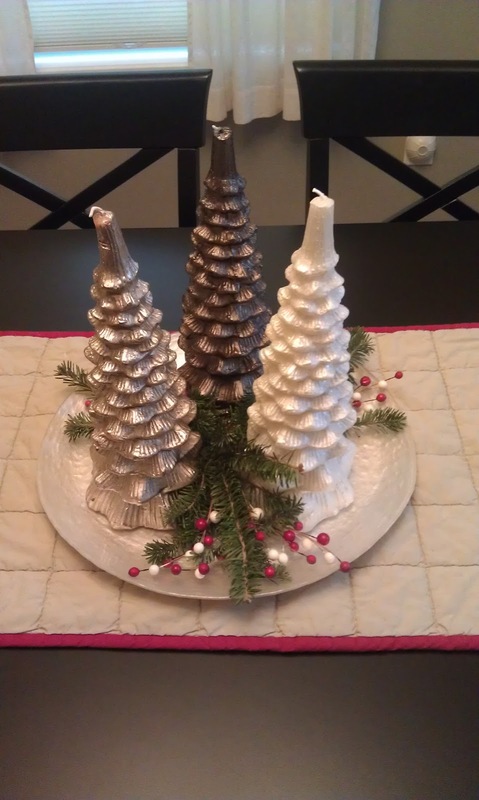 Love, Life, and the Pursuit of Happiness: Christmas Time! 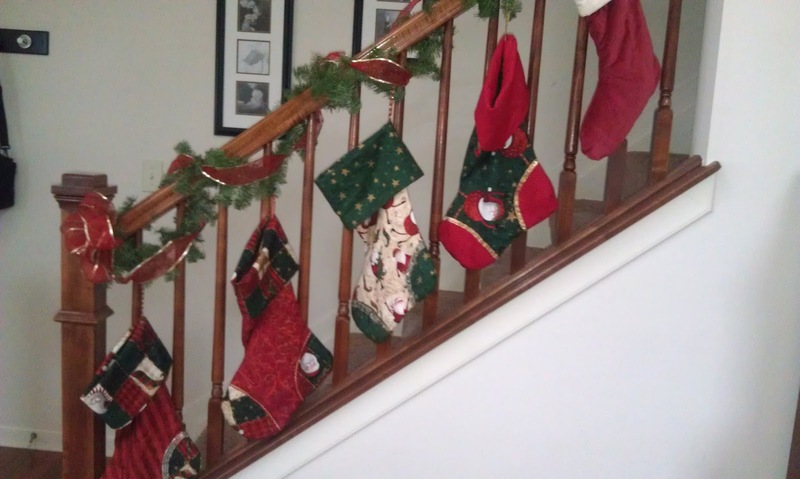 So here's a little recap of our ongoing Christmas decorating. We put up the tree the week after Thanksgiving. 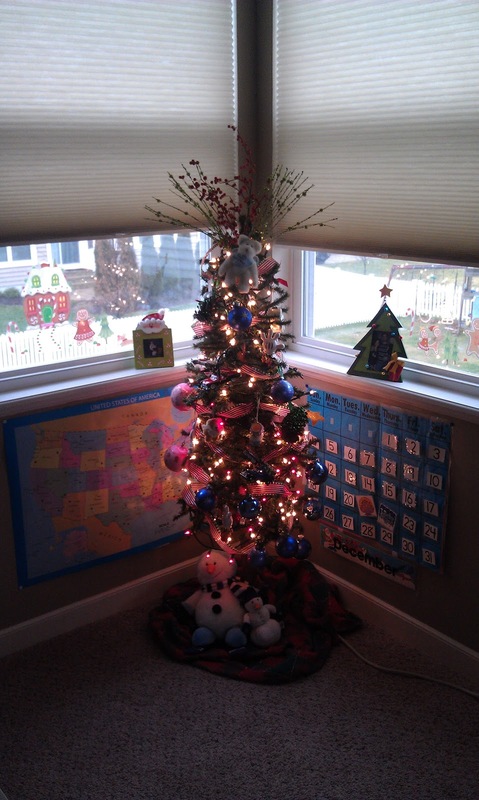 We also put this little tree in the loft with the kids ornaments I collect for them every year. I think we will need a full size one next year. This baby is getting full! 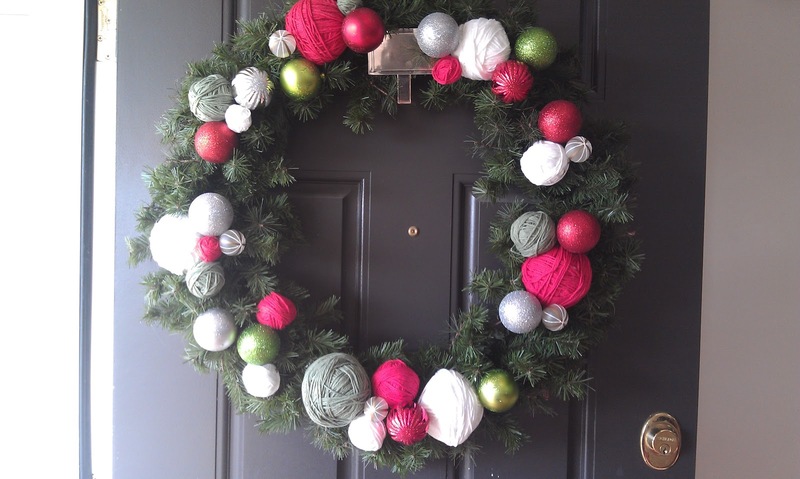 I got crafty and made this cutsy yarn ball wreath. I got the idea from the AMAZING The Cottage Chick blog. It was super easy and turned out so cute! My wreath was huge and I way underestimated the amount of yarn balls and ornaments I would need so after two days of wrapping and gluing I called it a project. 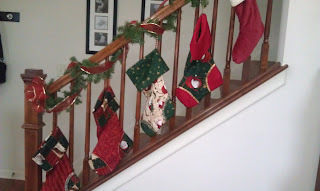 Next year I will try for a smaller one. 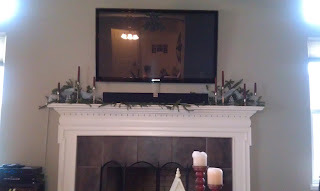 Because of the lovely black sound bar you see on our mantel... Yeah, that will be promptly removed before Christmas decor goes up next year. I can't imagine what life will be like when these little people aren't here to spread the Chrismas joy. I am cherishing every minute! 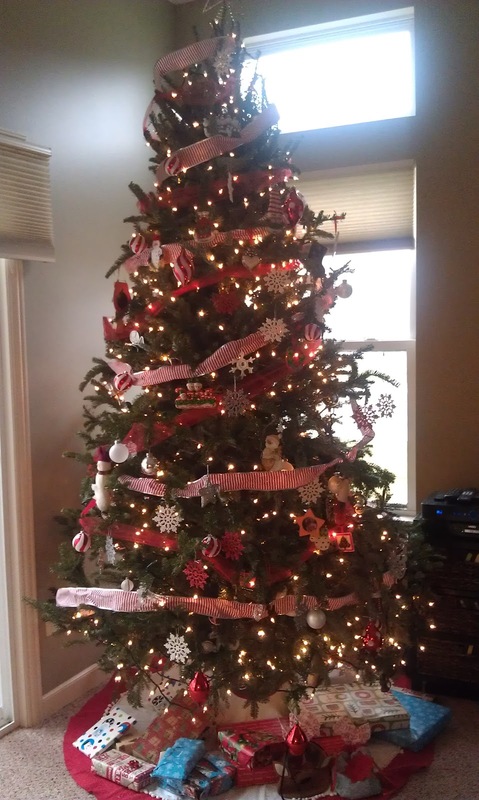 Hope you have all had as much fun celebrating your Christmas traditions! I don't want you to still be in that house next year. I want you to get back down South.